2019 will be a turning point for the enterprise. In the new year, we'll see substantial advancements and shifts in enterprise IT, from network automation becoming more aggressive, open source taking center stage and SD-WAN shifting towards the enterprise. Change is coming quickly, so organizations should prepare by creating more aggressive IT strategies to stay ahead of the curve. Despite years of talking about automation, the vast majority of enterprise operations are still manual, CLI-driven activities. In 2019, adoption will shift from linear to something more aggressive. This will be driven in part by a general need to automate the network to keep pace with the dynamic application environment that already exists in many enterprises. But the broader DevOps efforts, especially in the cloud arena, will demonstrate what operations could look like outside of the application teams. And enterprises will begin their transformation. Notably, this means that the automation that emerges will not be the automation that has been talked about for years. Where the last decade has been about removing keystrokes in mundane tasks, the real path forward for network automation will more closely track with the Site Reliability Engineering (SRE) movement. Expect to see the rise of NRE in enterprises (a trend that has already started in the major cloud and service provider properties). As open source continues to climb in importance in the IT supply chain, enterprises will begin to develop stronger open source policies. This will include everything from procurement practices (which partners will be involved and how will support be handled?) to supply chain (how do you secure the supply chain if no one is inspecting?). Enterprises outside of the major open source and cloud players will begin to treat open source as just another route to market, implementing appropriate controls, checks, and balances to ensure that products are robust, support is available, and security is more than a hope. It's not that SD-WAN will become less important in 2019, but as the industry starts applying the principles of SD-WAN more broadly, SD-WAN will start its evolution to SD-Enterprise. Cloud management and intelligent routing across the WAN can be transformative for more than the subset of products currently in market. As campus moves this direction, it seems inevitable that the concept will broaden. These changes will impact the reseller market in profound ways, forcing changes all the way through the supply chain. For decades, the networking space has been dominated by large, vertically-integrated stacks. With the rise of cloud and multicloud forcing multi-vendor integration from an operations perspective, it would seem that the vertical approach to the market will begin to give way to an ecosystem strategy. Importantly, that ecosystem will bring suppliers together that span all of compute, storage, networking, and even applications. Where the past was led by a well-known set of incumbents, suppliers like Nutanix with their hybrid and multicloud solutions and RedHat (now IBM) with their orchestration solutions will take on more prominent roles. This will chip away at the incumbent routes to market, which will begin a one-way move towards a more diverse solutions environment. A few years ago, data center was all the rage. More recently, SD-WAN has revitalized the branch. In 2019, expect campus networking to be in vogue again. Driven by some of the same technologies (SDN, SD-WAN, intent-based networking, and so on), the campus will go through a similar transformation. Vendors have retooled their portfolios in preparation, and most market forecasts showed campus shifting from slow decline to slight growth this year. That trend should continue. Notably, the embrace of software as the primary vehicle for delivering value also means that the days of refresh cycles being on the order of 5-to-7 years will likely come to an end as well. This should stoke competition in a market that, frankly, has looked more like a monopoly than a vibrant ecosystem at times over the last decade. Times, they are a-changin'. 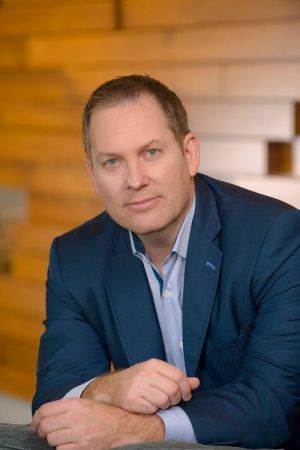 Mike Bushong is Vice President of Enterprise Cloud Marketing at Juniper Networks. Mike spent 12 years at Juniper in a previous tour of duty, running product management, strategy, and marketing for Junos Software. In that role, he was responsible for driving Juniper's automation ambitions and incubating efforts across emerging technology spaces (notably SDN, NFV, virtualization, portable network OS, and DevOps). After the first Juniper stint, Mike joined data center switching startup Plexxi as the head of marketing. In that role, he was named a top social media personality for SDN. Most recently, Mike was responsible for Brocade's data center business as vice president of data center routing and switching, and then Brocade's software business as vice president of product management, software networking.